Hospital Clínica Benidorm has incorporated into its medical team, Dr. Tanya Álvarez, who will lead the consultation of primary care of HCB Jalón and will also become a part of the medical index of HCB Calpe Internacional and HCB Salus Albir. Dr. Tanya Álvarez is licensed in medicine by the Medical Faculty of Uruguay and is specialized in Genetic Medicine thanks to her postgraduate in Genetic Medicine, Master’s Degree in Genetic Medicine, and Master’s Degree in Regenerative and anti-aging medicine of the University of Valencia (Spain). 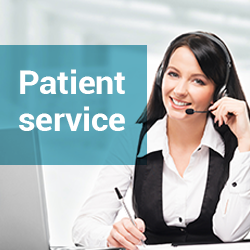 Additionally, she speaks Spanish, English, Norwegian and Portuguese, which allows her to perfectly adapt to the model of foreign patient care of HCB. The professional journey of Dr. Álvarez has developed since her first years as a family doctor and emergency doctor in the Clinical University Hospital of Valencia and in the Hospital La Fe in Valencia. 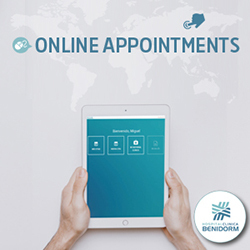 Her experience as a family doctor in health centres and geriatric residencies in the Costa Blanca expanded after a professional stay in Norway which also allowed her to work with Norwegian and Swedish patients in many clinics and medical centres. She completes her extensive Curriculum Vitae with her years of work as a specialist in Genetic and Regenerative Medicine in the Sha Wellness Clinic (Albir, Alicante). 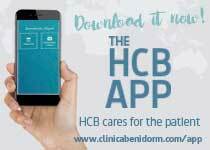 In the Marina Alta directing the HCB Jalón Centre and enhancing the medical index of HCB Calpe. And in the Marina Baja, enhancing the medical index and the consultations of the Scandinavian patients of HCB Salus Albir. Dr. Tania Álvarez brings to the international medical team of HCB her extensive journey in the area of General Medicine both in Primary Care as in Emergencies and her experience with foreign patients and her knowledge in diverse languages.